In 2014, genre distributor Terror Films came across a film titled Viscera, at the Screamfest Horror Film Festival, in Los Angeles. 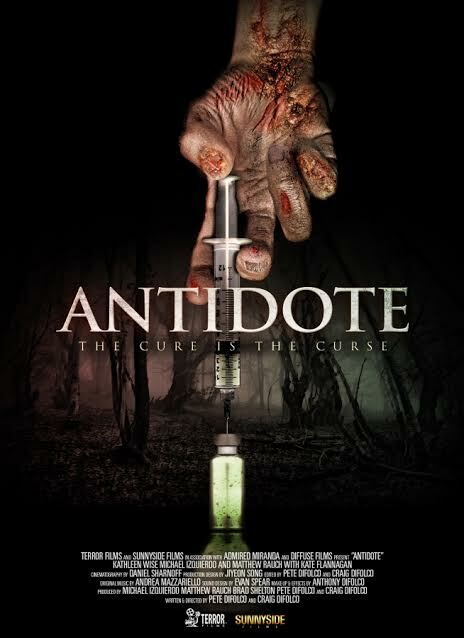 The film was initially given a small release in 2014, under the rebranded title, Antidote. Terror Films recently acquired the distribution rights from directors Craig and Pete DiFolco. Now, Terror Films has set a wide re-release for the film 21st October 2016. Antidote takes place in a plague-ridden, post-apocalyptic world. Here, a man and woman face unimaginable horrors. When he suddenly becomes infected, they have to contend with the fact that the only possible cure slowly drives him mad. The film is set to be released across major digital platforms including: Amazon Instant, YouTube, Xbox Live, VUDU, Sony PlayStation, Vimeo On Demand and Google Play. Also, the film is set to be released on Amazon Prime, the 24-Hour Movie Channel (Roku) and cable VOD, at a later date. On iTunes, it is currently available for pre-order.